Today, Capcom released the current global statistics for Resident Evil 2 2019, revealing Leon to be the popular first choice, time played, distance walked, and more. 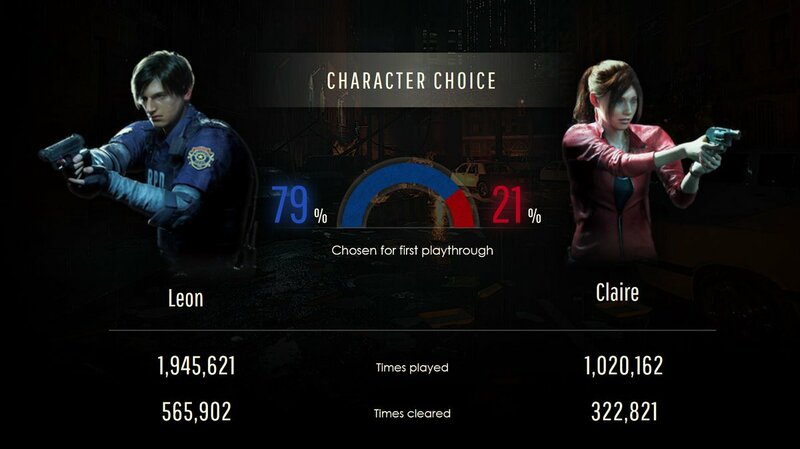 The numbers are incredibly impressive with over 1800 years worth of play time recorded and 800,000 times the campaigns were cleared for both Leon and Claire. These numbers will continue to rise as Capcom has 3 new campaigns releasing next month.